You can look around Cringles House through our Cringles House Tour March 15 (pdf file). 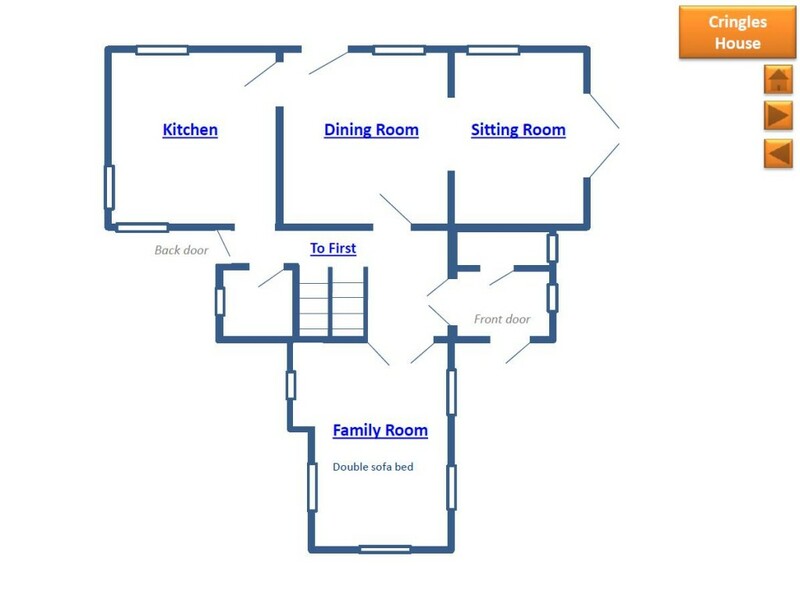 This includes a layout of the house, with pictures of the main rooms. 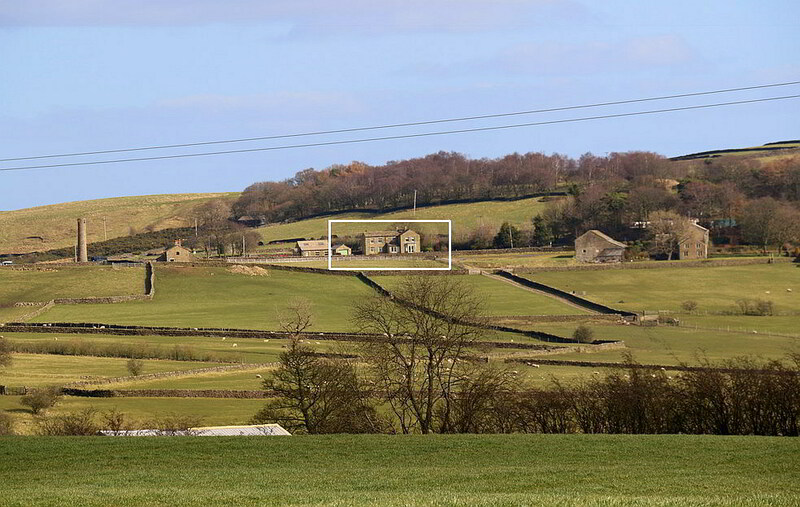 Below is a picture of the Cringles hamlet from across the valley, with Cringles House is in the centre. The area is greenbelt, and the country lane through the greenbelt runs in front of the house. Behind the house is Bolton Road, which runs between Addingham village and Silsden, allowing easy access to Ilkley and Skipton.